This beautiful Packard A Safe Place Diecut sign is 48″ by 35″. The sign resembles the front of a Packard with the grille and the hood ornament. The sign is primarily a coll grey color. 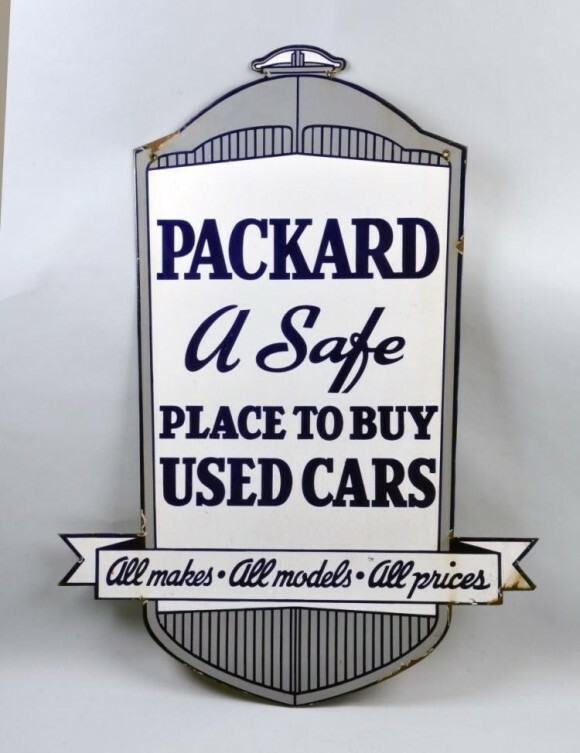 The text reads “Packard A Safe Place to Buy Used Cars, All Makes – All Models – All Prices.” This would be a great sign to add to any collection because of its attention to detail.